The first thing people notice about your home is the exterior decor. 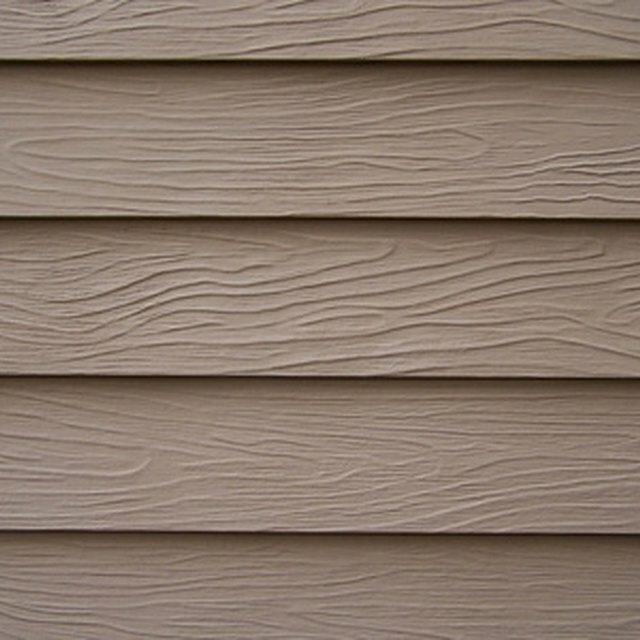 Choose a siding material that suits your style and personality. Steel siding can offer a classic look that does not need a lot of effort to maintain. Steel is not only easy to clean and durable, but it is also fire-resistant and recyclable. Measure the height and length of the wall that you will cover with siding with a measuring tape. Measure from the ground to edge of the roof to get the height. Measure from one side of the wall to the other to get the length. The measurements will determine how much steel siding and trim you will need. Attach the trim along the perimeter of the wall, except the side of the wall where you will end your installation. Nail in the trim to secure it to the wall. Then nail the whole length of trim. Mount an underlayment board on the wall for insulation. Underlayment boards are available in large sheet that can be nailed onto the wall. Position the underlayment board against the wall and hammer in nails to attach it. Mount underlayment boards throughout the wall and tape the joints with duct tape to minimize air infiltration and thermal loss. Position the first piece of siding on one corner of your wall. If you are using horizontal siding, start the installation at the bottom corner of the wall. For vertical siding, start on the sides of the wall. Insert the siding into the channel of the trim. Place a galvanized nail into each perforation in the siding. The siding will have holes along one long side for you to nail into. Hammer the nails into the holes, but make sure to leave a 3/4 inch gap when you hammer in the nails. This will leave room for the wall to expand. Hammer the nails straight into the wall. Nails that are hammered at an angle will distort the steel siding. Place the next piece of siding adjacent to the first piece that you installed. Overlap the edges of the siding panels by 2 inches. Nail into the holes just as you did with the first panel. Continue to attach panels until the whole wall is covered. Cover the exposed edge of paneling with trim. Nail in the trims into the edge of the wall to close off the siding panel.